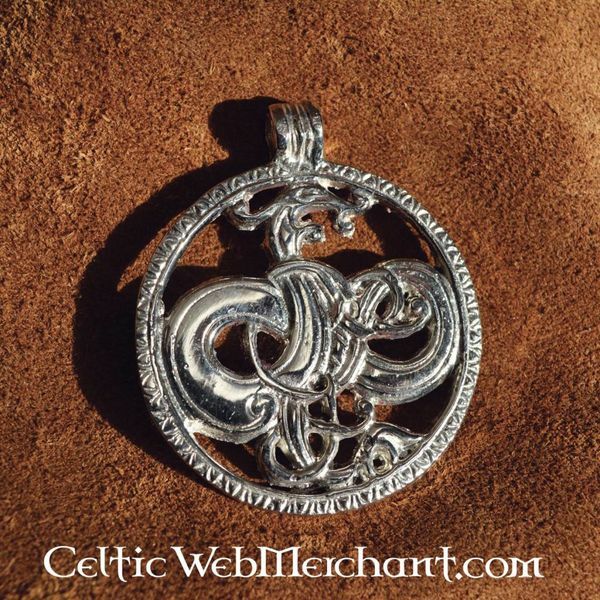 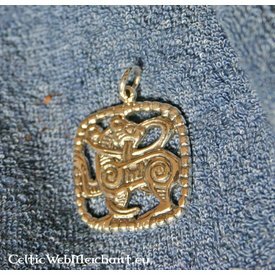 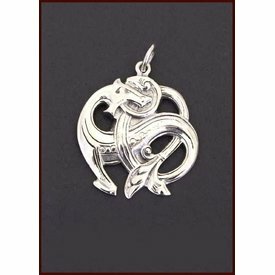 This amulet is a depiction of the Midgard snake, a snake that encircled the world according to the Viking mythology. 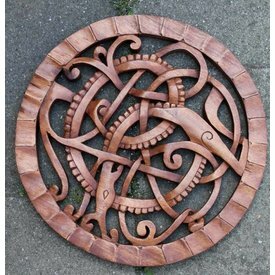 It is made in the Urnes style. 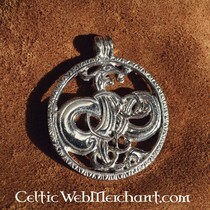 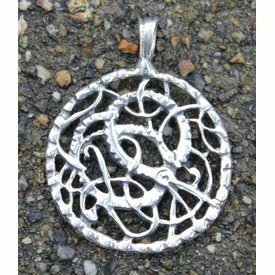 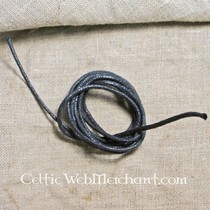 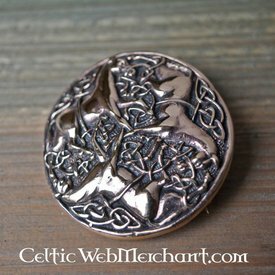 The amulet has a diameter of 6 cm and is made of silvered brass.